Home Company	DENIM EXPERT LTD. 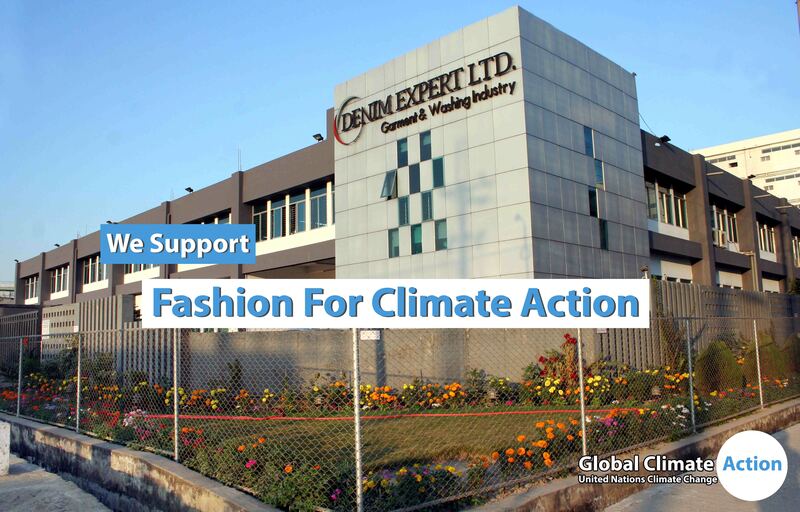 BECOME THE FIRST DENIM COMPANY FROM BANGLADESH TO JOIN THE UNFCCC FOR CLIMATE ACTION. DENIM EXPERT LTD. BECOME THE FIRST DENIM COMPANY FROM BANGLADESH TO JOIN THE UNFCCC FOR CLIMATE ACTION. The parties to the convention have met annually from 1995 in Conferences of the Parties (COP) to assess progress in dealing with climate change. In 1997, the Kyoto Protocol was concluded and established legally binding obligations for developed countries to reduce their greenhouse gas emissions in the period 2008–2012. The 2010 United Nations Climate Change Conference produced an agreement stating that future global warming should be limited to below 2.0°C relative to the pre-industrial level. In 2015 the Paris Agreement was adopted, governing emission reductions from 2020 onwards, through commitments of countries in Nationally Determined Contributions, lowering the target to 1.5°C. The Paris Agreement entered into force on 4 November 2016. Denim Expert Ltd. are very proud to join the Fashion Industry Charter for ClimateAction alongside other illustrious brands and suppliers, including: Adidas, Burberry, Guess?, H&M, Hugo Boss, Inditex, Levi Strauss &Co., PVH Corp., Puma and Stella McCartney. 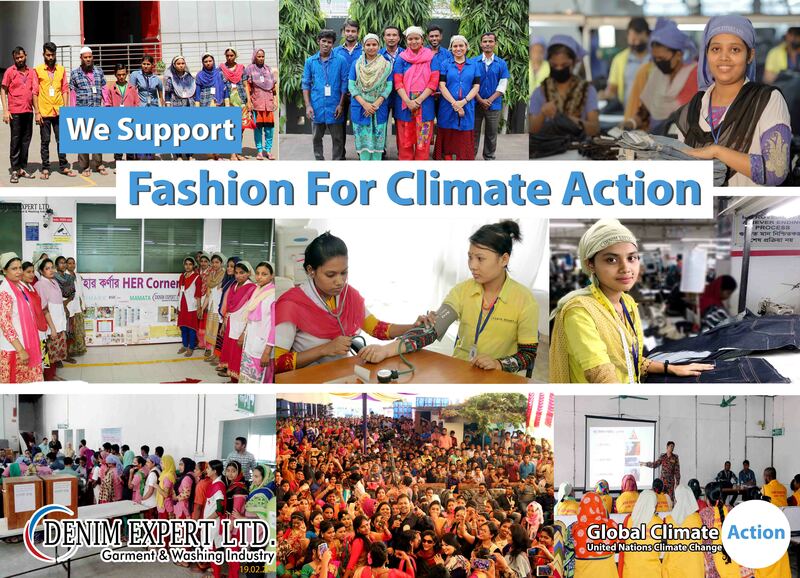 Denim Expert Ltd. are the first denim manufacturer in Bangladesh to join to join the UNFCCC for ClimateAction and we are urgently undertaking measures to benefit climate action, in line with the goals established by the Paris Agreement of 2015. The science is proven to be clear. Climate change is happening fast and that is why Denim Expert Ltd. have joined the Fashion Industry Charter for ClimateAction. We have pledged to limit our Green House Gas (GHG) emissions & support the world reaching climate neutrality by 2050. RESPONSIBLE PRODUCTION AT DENIM EXPERT LTD.